Carla Perez is the first South American woman to summit Everest without supplemental oxygen. Worldwide, in the entire history of climbing Everest, only seven women have ever accomplished this feat. Carla is currently en route to Everest, traveling from Quito, Ecuador all the way to Everest Base Camp in Tibet. 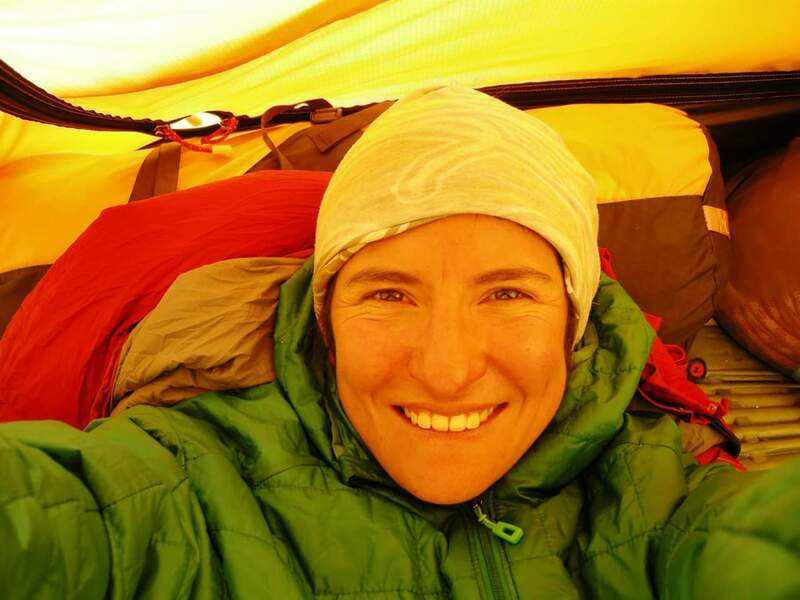 She and Chad Peele will be guiding our main team, Everest Rapid Ascent, this spring. We caught up with her for an interview and she gave us the scoop on her upcoming adventures. Q: What does travel to Everest look like? Carla: Travel from Ecuador to Everest Base Camp is an expedition in itself. I fly from Quito to San Francisco and spend a night there. The next day I fly from San Francisco to Beijing and then to Chengdu, where I meet the rest of the team. We spend a night there and finally, we fly to Lhasa. From Lhasa, we drive along the Tibetian plateau for three days to reach base camp. It takes almost 10 days to get around the world to get into the Chinese base camp at 17.500 ft.
Q: What has your training been like for Everest? Carla: This summer I want to try to climb K2 without supplemental oxygen so I have been training with my coach for these two goals. The training process started with exercises to stabilize my muscles, joints, and ligaments with two sessions per week of strength in a gym (squats, deadlifts, abs, pull-ups, push-ups). I also did a lot of long uphill hikes, keeping a low heart rate and increasing the weight in my backpack every week. For the past six weeks, I have been doing a lot of jumping workouts in the gym to build some explosive power and also running up short running hills pulling a tire. Finally once per week, I climb a big mountain like Cotopaxi (19,400′) or Chimborazo (21,000′) for acclimatization. Q: What are you getting excited about for Everest this season? Carla: For this Everest’s season, I’m super excited because It will be my first Himalayan expedition as a guide, an achievement that I dreamed about and pursued for many years. I really enjoy sharing life-changing experiences with people and it’s amazing to get to do that in one of my favorite places in the world. It will be awesome, challenging but awesome. Q: What was it like to summit Everest without oxygen in 2016? Was it the hardest thing you’ve ever done? Carla: By far Everest without oxygen was physically and mentally the hardest thing I have ever done. I did it in my second attempt. On my first attempt, I turned back 700 ft. from the summit because of the extreme cold. For me, climbing Everest without O2 on my second attempt, after 20 years of dreaming it and 6 years preparing myself to do it, was much more than a physical challenge, it was a life experience full of learning. Q: What climbing goals do you have this summer? 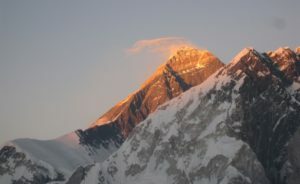 What’s the next step after Everest for you? 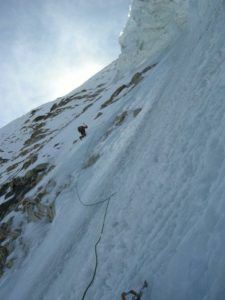 Carla: My climbing goal this summer is K2 without suplemental oxygen. We will be joined by an amazing international team supported by Eddie Bauer. 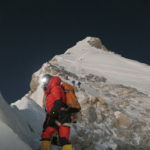 All five members will be on Everest this season: Adrian, Topo, Pemba and Palden. 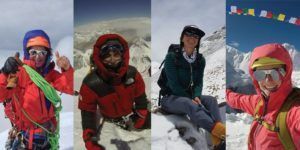 Q: It’s so cool that TWO out of the seven women who have ever summited Everest without supplemental oxygen are guiding together on the same team! Are you excited to work with Lydia? And the rest of the women on the guide and climber team? Carla: I’m really excited to work with Lydia. When I was planning and researching about my first Everest expedition I read a lot about her but I never imagined to have the chance to meet her and even less to share and learn from her. This season will just be an awesome experience with all these women on the team. I’m really happy to be part of such an amazing team! Q: What made you want to be a mountain guide in the first place? Carla: I love the potential to combine two of my favorite things to do: climbing mountains and sharing experiences with people. I also work as a motivational speaker in South America and the whole experience of sharing and inspiring others is really fulfilling in my climbing career. You’ve hired treasure, Mr. Ballinger.